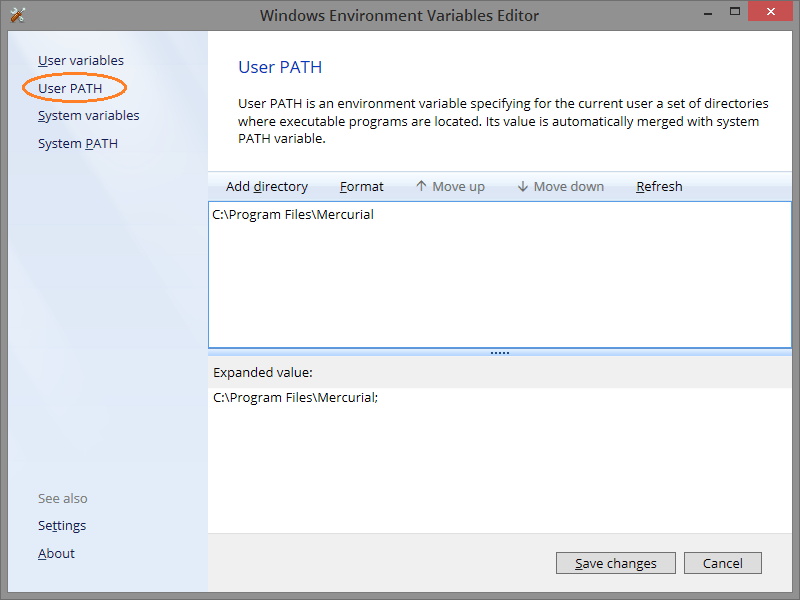 The most significant change in Environment variables editor 1.5 is standalone editors for both System PATH and User PATH variables. 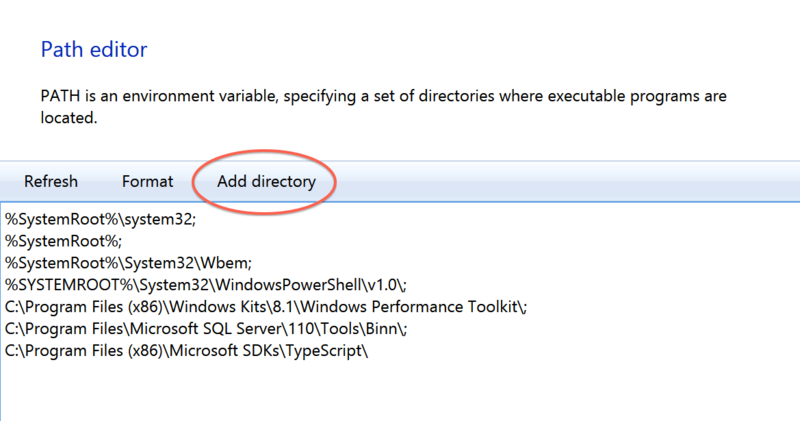 There you can easily add a new directory to the PATH, change the order of PATH fragments, format it, even reset the value of the variable to its default one. 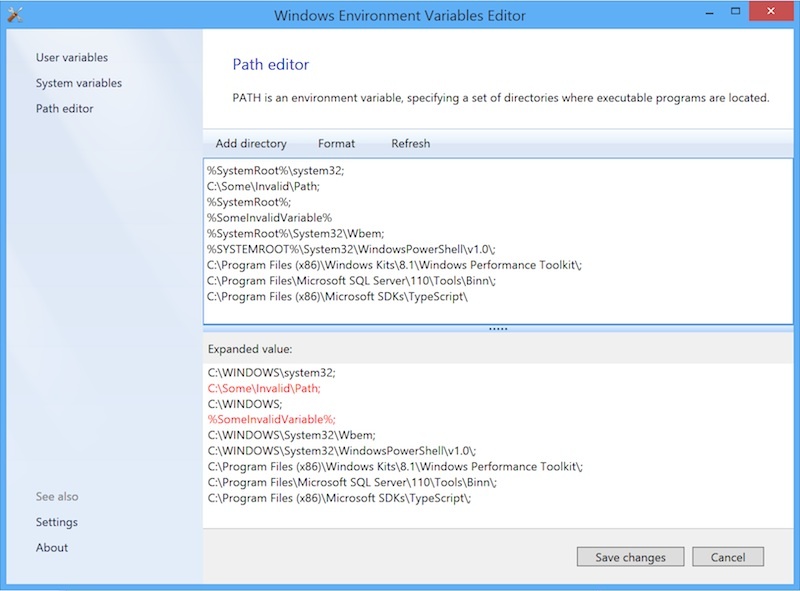 The application automatically highlights any wrong PATH fragments, so you can remove them. 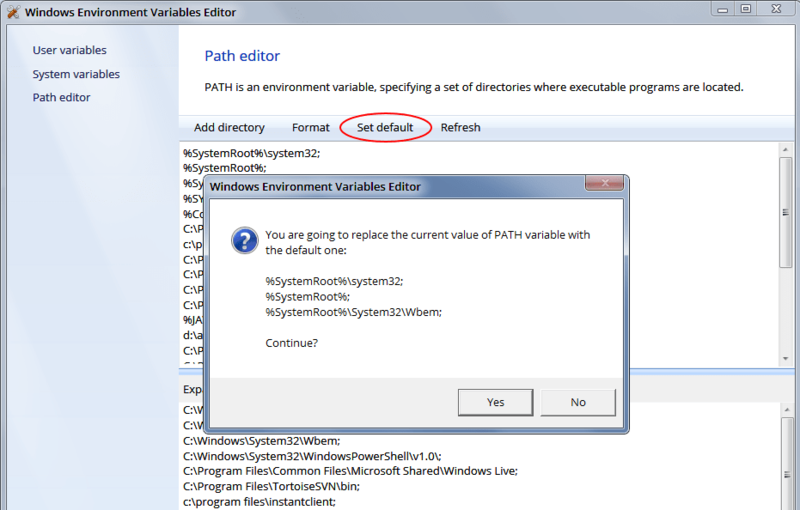 This time a feature allowing to reset PATH variable to default is added. So in case you messed up the PATH and want to start from scratch, this would be a right way to go. Serious refactoring and re-organization of internal application structure, big step towards better testability and extensibility. 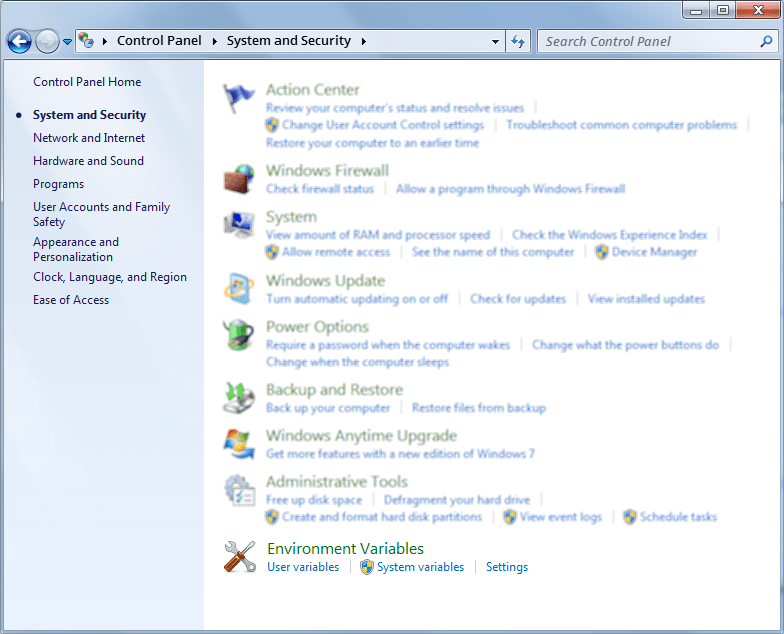 C:\MyFolder path (presuming that OS is installed on C: drive). 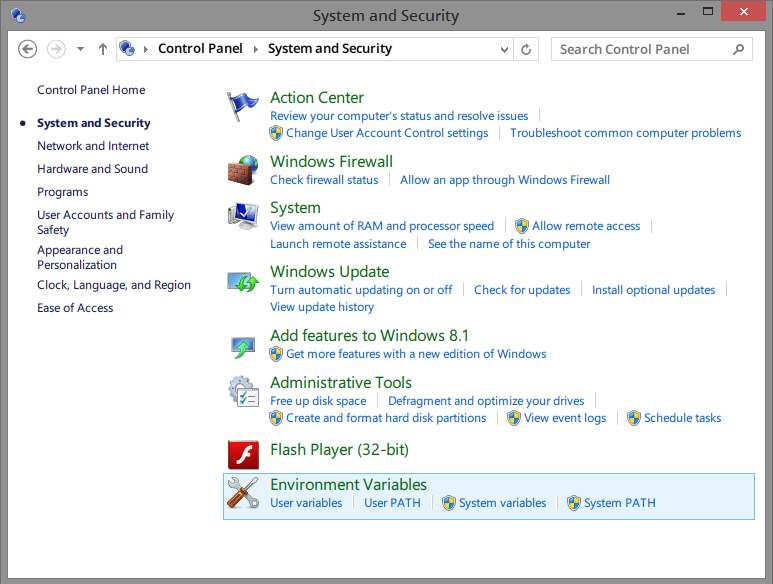 The same way any environment variable can be used inside another. 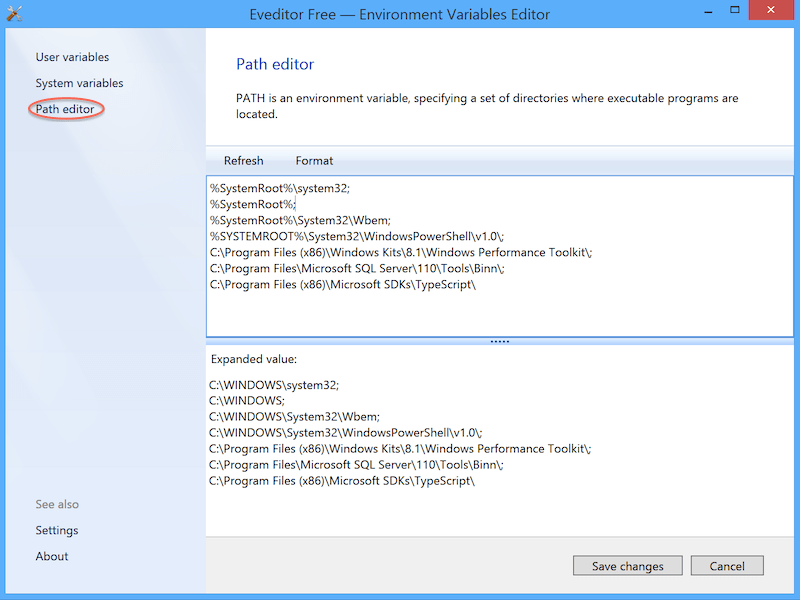 Eveditor will automatically expand any variable and display the resulting value. Note, Eveditor 1.3.0 is still development release, use with caution. Thanks everyone for the feedback! It was very helpful!